NIIW (April 21-28, 2018) will be celebrated as part of World Immunization Week (WIW), an initiative of the World Health Organization (WHO). During WIW, all six WHO regions, including more than 180 Member States, territories, and areas, will simultaneously promote immunization, advance equity in the use of vaccines and universal access to vaccination services, and enable cooperation on cross-border immunization activities. Highlight the dangers of vaccine-preventable diseases, especially to infants and young children, and the importance and benefits of childhood immunizations. Focus attention on our immunization achievements and celebrate the accomplishments made possible through successful collaboration. Encourage better communication between parents and health care professionals. Remind parents and caregivers they need to make and keep needed immunization appointments. 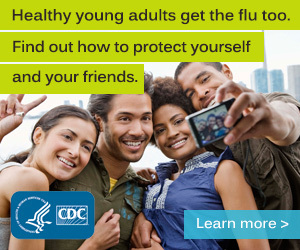 Provide parents and caregivers with a toll-free number, 800-CDC-INFO (800-232-4636), to locate a facility that offers immunizations through the Vaccines for Children’s program, a federally funded program that provides vaccinations at no cost to children whose parents cannot afford to pay for them.